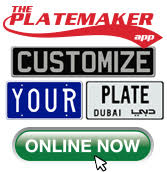 Thank you for choosing LICENSEPLATES.TV for your license plates and license plate frames. Autogeardepot.com, Inc. and LICENSEPLATES.TV (hereinafter "LICENSEPLATES.TV", warrants the above listed products, applicable to specifications as described in this site, to be free from original defects in material and workmanship when used under normal and non-industrial conditions for a period of one (1) year. The one (1) year warranty period begins on the date as stated on your invoice. Die markings on embossed license plates are typical and not considered defects. 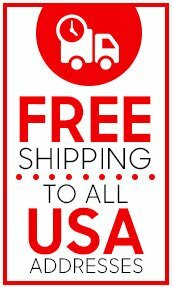 Replica license plates sold on this site are for non-official use only and no warranties are made that said license plates are identical to originals. Our warranty does not cover any legal problems due to the use of our license plates and license plate frames. License plates sold on this site must never be used in lieu of officially/government issued license plates. Damage caused by improper installation, modification or attempted modification. Damage caused by, but not limited to, accident, misuse, abuse and off-road driving. Damage caused by hail, road hazards, acid rain and off-road vehicle use. Damage caused by motorized car washes, cleaning solvents and car polishes. Differences between the digital or Internet hues and actual colors are not covered under this warranty. Use of parts and accessories others than those sold by LICENSEPLATES.TV. Damage caused by aggressive buffing or scrubbing. RUST PROOF WARRANTY: All of our Mirror 3D Stainless Steel License plates and Bright Chrome Plated Stainless Steel license plate frames will never rust. Please email us at warranty@licenseplates.tv to verify that our warranty applies. Please refer to your purchase receipt since this may have information required to process your claim. LICENSEPLATES.TV has the option to repair or replace any product which qualifies as a warranty claim. Any defective product or replaced part becomes the property of LICENSEPLATES.TV. Any implied warranties relating to your purchase, including but not limited to warranty of merchantability or warranty of fitness for a particular purpose, are limited to the duration of this warranty. This limitation is not allowed by some states and so this limitation may not apply to you. Your remedy for breach of this warranty is limited to the warranty service described above. LICENSEPLATES.TV will not be liable for any consequential damages or inceptive damages you may incur in connection with your purchase and use of your license plate and/or license plate frame. This limitation is not allowed by some states and may not apply to you. This warranty gives you specific legal rights. You may also have other legal rights that vary from state to state.